Shannon was involved from the moment we even entertained the idea of selling. 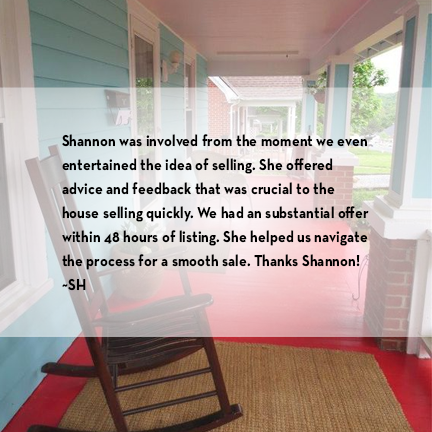 She offered advice and feedback that was crucial to the house selling quickly. We had a substantial offer within 48 hours of listing. She helped us navigate the process for a smooth sale. Thanks, Shannon!